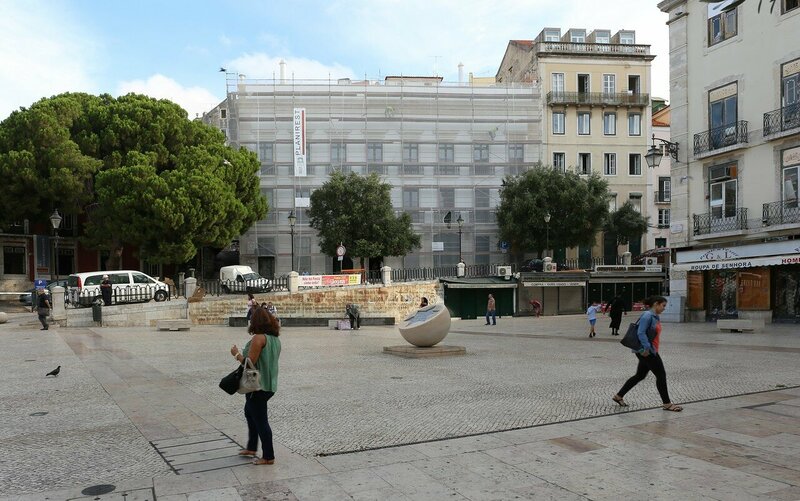 Largo (Portuguese "little square") of St. Dominic is located in the Northern part of Pedro IV square, behind the right side of the national theatre of Queen Mary II (map). The facade of the Church of the monastery of St. Dominic, from which the area got its name. 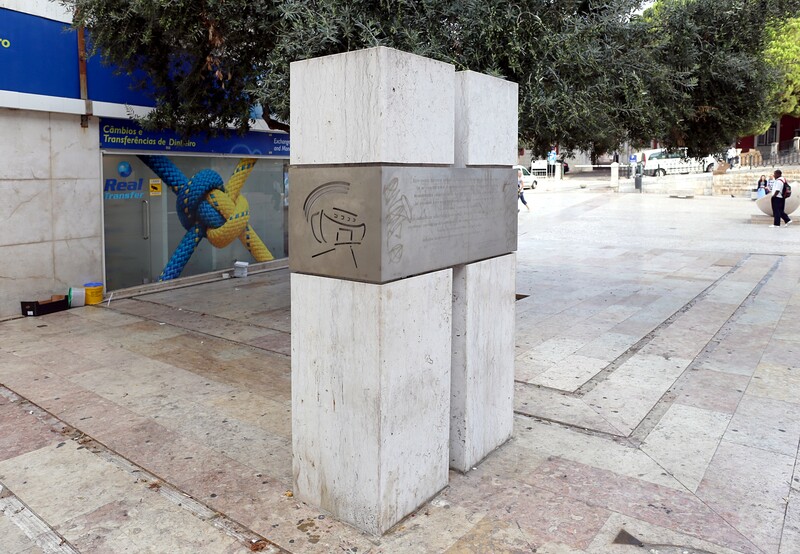 This place went down in history as the starting point of a grandiose Jewish pogrom known as "The Lisbon massacre". The prehistory of this tragedy began with the persecution of Jews in Spain in the late 15th century, in 1492, Queen Isabella ("Catholic"), a fanatical Christian, issued a decree according to which the Jews had to undergo the rite of baptism or leave the territory of the Kingdom. 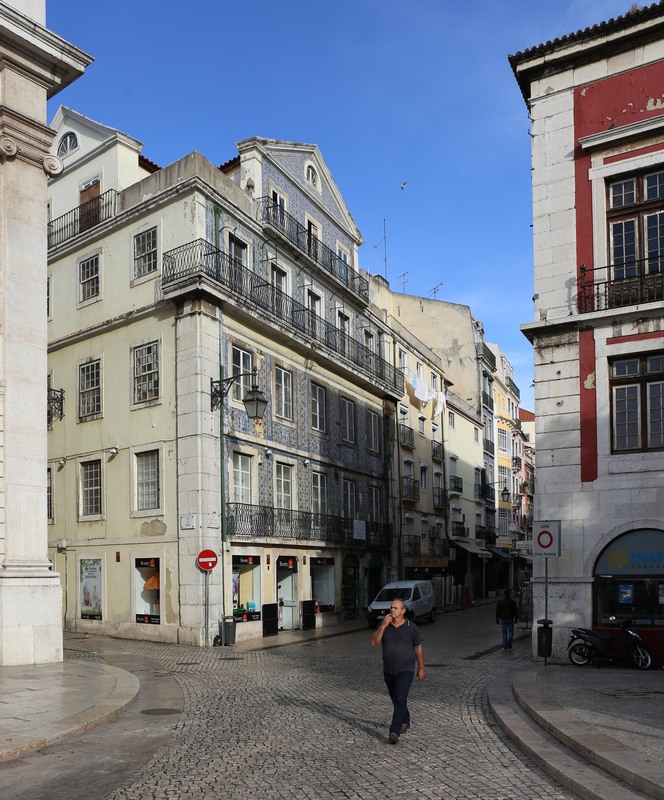 About 100 thousand Jews have not changed their faith and found refuge in neighboring Portugal. King Manuel I of Portugal had nothing against the Jews, but only he was in love with Princess Isabella of Asturias, the eldest daughter of the Spanish monarchs, and they set one of the conditions for marriage termination of Jewish freedom of religion. By the way, this marriage brought disaster not only to the Jews, but as a result of his Portugal ceased to exist as an independent state, becoming a province of Spain. In 1497, Manuel I signed the law on baptism, with even tougher conditions than in Spain. 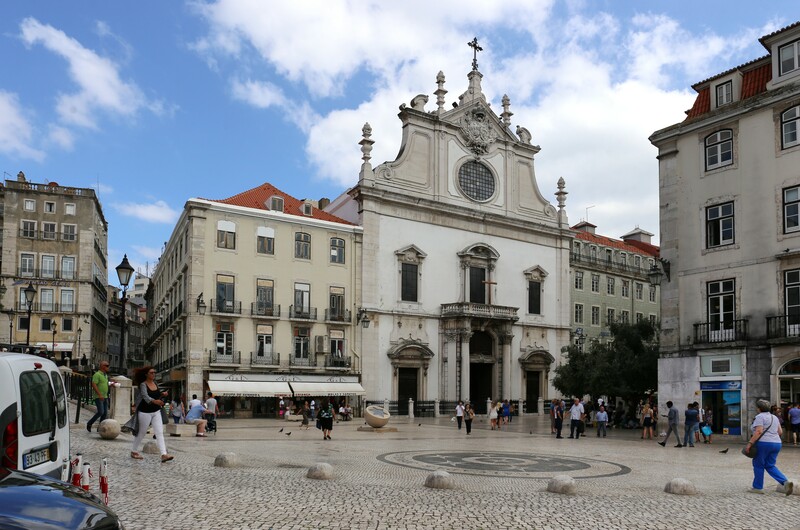 In particular, those who remained faithful to their God and left Portugal were forbidden to take children under 14 years of age. As a result, many Orthodox families put their hands on each other, after strangling their own children. Those who went through the rite of baptism (they were called Marranos), were not safe - the people they hated and despised as traitors of their faith, the renegades. 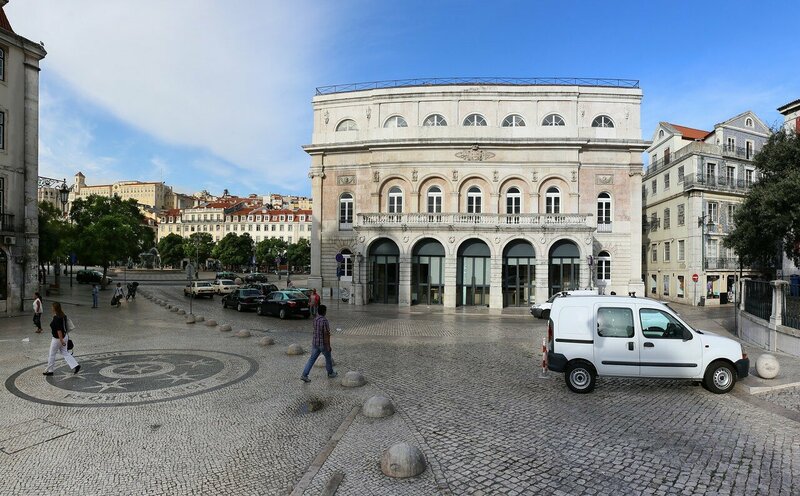 In the autumn of 1505, a plague epidemic broke out in Lisbon, and food prices soared after a drought and a poor harvest in the winter. The guilty look did not last long, the price increase has accused the Jewish merchants. The impetus for the massacre was a careless word uttered by one of the converts during a mass in the Church of St. Domenico on April 19. Someone from the congregation saw the face of Jesus, and he declared it a sign that stood near marran said it was just the play of light. As a result, he was beaten to death by a crowd, and Dominican monks poured oil into the fire, declaring all persons of Jewish origin in heresy and other troubles. For the murder of heretics was promised the remission of all sins and the crowd went to the city to destroy Jewish homes. On this day, up to five hundred people were killed, the next day sailors of foreign merchant ships joined the pogroms, more for the purpose of robbery, and not for religious reasons, the total number of killed tripled. The crowd with the same enthusiasm killed true Catholics, those who tried to stop the massacre, calling for prudence and mercy. 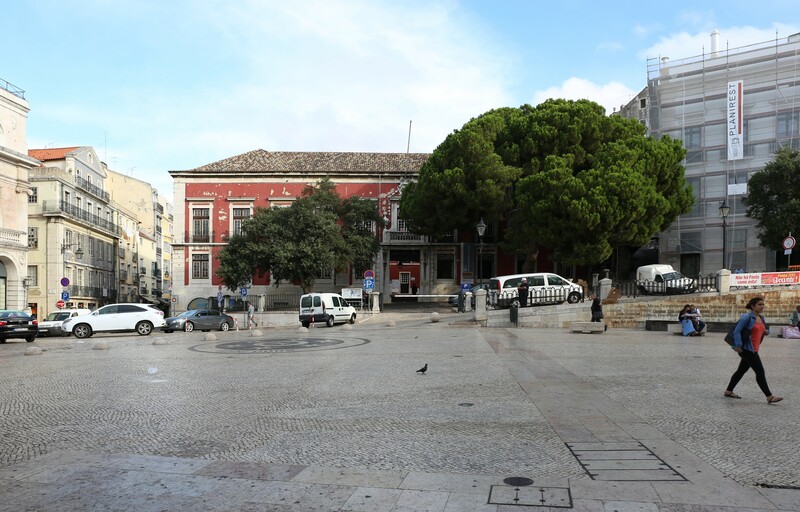 When news of the riots reached évora, where the king and the government were fleeing the plague, the Royal guard was sent to Lisbon. Order was restored, and the rioters were subjected to various punishments - from confiscation of property to the death penalty on the gallows. The total number of dead during the massacres is unknown, historians have called the numbers from two to four thousand. On the square there are two monuments dedicated to this event. 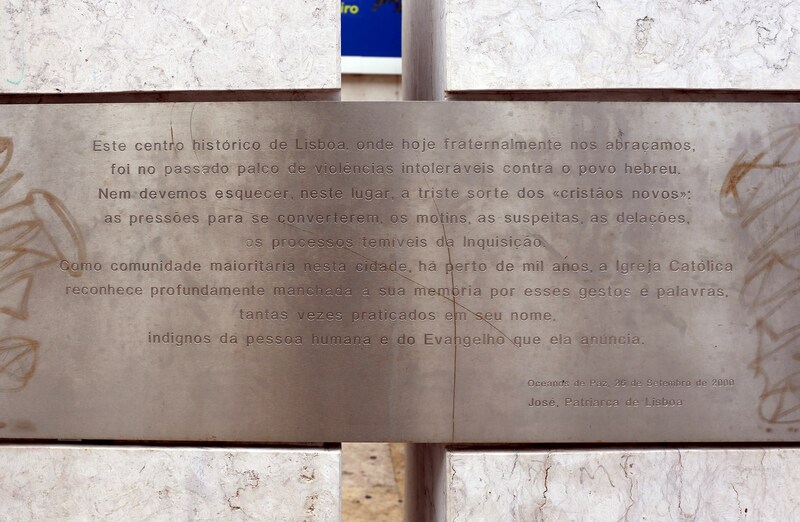 On the memorial plaque, the Patriarch of Lisbon condemns the genocide of the Jews, and regrets that it did not prevent these events. Another memorial sign was installed in the year of the 500th anniversary of the tragedy. 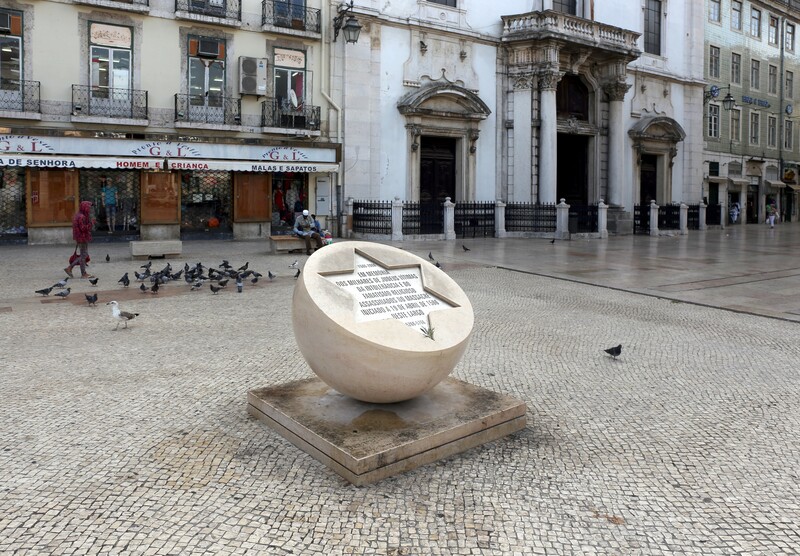 Behind the memorial sign is visible "the wall of tolerance", on which the inscription "Lisbon, a city of tolerance" is embossed in 38 languages". 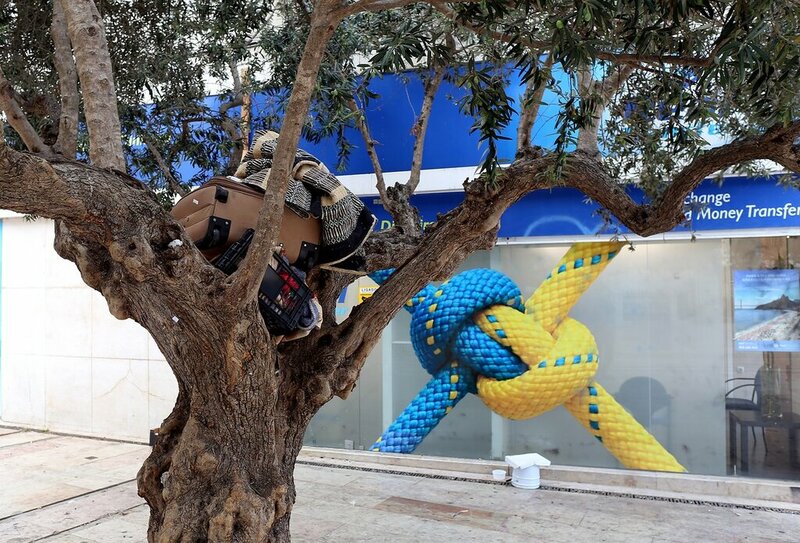 The only tree on the square - the old olive, used storage simple belongings of some homeless. 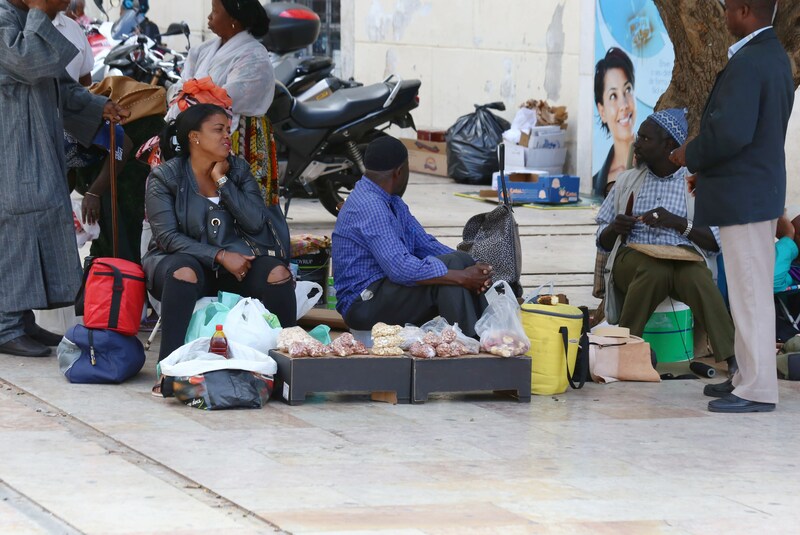 And with its crown sell all sorts of exotic food - the square is the meeting place of immigrants from Africa. In the center of the square can be pavement can be see mosaic-circle with stars and the banner "Calçados Jose da Rosa 2000-2001" that means this the writing, I so and not found no options, can only say, that the first word translated as "shoes", and Jose da Rosa - known Brazilian football player. Meetings are usually scheduled on this mosaic. 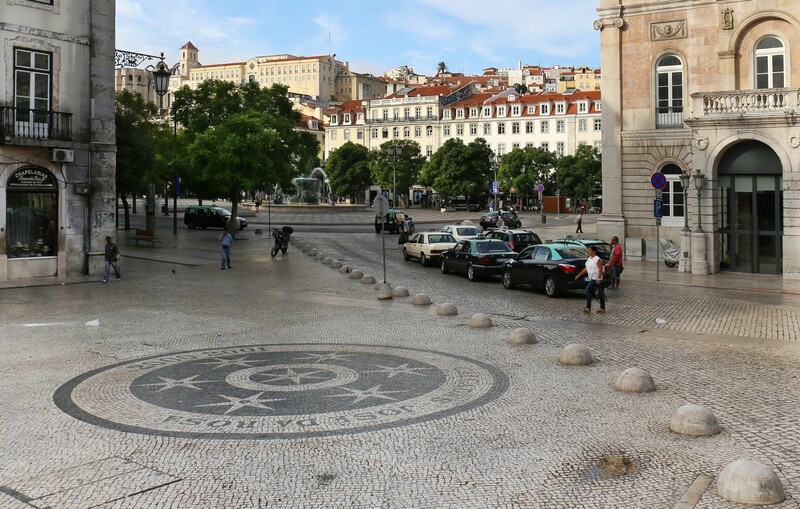 In the Northern part of the square is the Palace of Independence (Palácio da Independência). There begins the popular pedestrian street of St. Anthony.